It is a virtue of clear writing that you can see what is wrong with a book as well as what is right. Richard Swinburne is clear. You can see where he is coming from. You can also see where he is going to, and there is something almost endearing in the way he lovingly stakes out his own banana skin and rings it about with converging arrows boldly labelled “Step here”. It is surprising that a writer as clear as Swinburne has risen to the top of his profession as Nolloth Professor of Philosophy of Religion at Oxford. Theology is a field in which obscurantism is the normal path to success, and a favourite trick is to insist that religion has its own “dimension(s)”, completely separate from those of science; science and religion are about different kinds of truth and you cannot use the criteria of one to judge the other; religion answers those questions which are outside the territory of science. Extract from an article published in The Sunday Times on February 4, 1996. Richard Swinburne will have none of these flabby evasions. His opening chapter expounds what he is going to mean by the God whose existence he plans to demonstrate, and it is very much not a vague synonym for The Ground of All Isness or Caring in the Community, but a spirited, supernatural intelligence whose existence, if demonstrated, would actually make a difference to something. Swinburne returns to an earlier, braver and more intellectually honest – some might say foolhardy – theology.Swinburne is ambitious. He will not shrink into those few remaining backwaters which scientific explanation has so far failed to reach. He offers a theistic explanation for those very aspects of the world where science claims to have succeeded, and he insists that his explanation is better. Better, moreover, by a criterion likely to appeal to a scientist: simplicity. He shows that his heart is in the right place by convincingly demonstrating why we should always prefer the simplest hypothesis that fits the facts. But then comes the great banana skin experience. By an amazing exploit of doublethink, Swinburne manages to convince himself that theistic explanations are simple explanations. Science explains complex things in terms of the interactions of simpler things, ultimately the interactions of fundamental particles. I (and I dare say you) think it a beautifully simple idea that all things are made of different combinations of fundamental particles which, although exceedingly numerous, are drawn from a small, finite set. If we are sceptical, it is likely to be because we think the idea too simple. But for Swinburne it is not simple at all, quite the reverse.His reasoning is very odd indeed. Given that the number of particles of any one type, say electrons, is large, Swinburne thinks it too much of a coincidence for so many to have the same properties. One electron, he could stomach. But billions and billions of electrons, all with the same properties, that is what really excites his incredulity. For him it would be simpler, more natural, less demanding of explanation, if all electrons were different from each other. Worse, no one electron should naturally retain its properties for more than an instant at a time, but would be expected to change capriciously, haphazardly and fleetingly from moment to moment. That is Swinburne’s view of the simple, native state of affairs. Anything more uniform (what you or I would call more simple) requires a special explanation. Oh, and in case you wondered how the hypothesis that God is simultaneously keeping a billion fingers on a billion electrons can be a simple hypothesis, the reason is this. God is only a single substance. What brilliant economy of explanatory causes compared with all those billions of independent electrons all just happening to be the same! Theism claims that every other object which exists is caused to exist and kept in existence by just one substance, God. And it claims that every property which every substance has is due to God causing or permitting it to exist. It is a hallmark of a simple explanation to postulate few causes. There could in this respect be no simpler explanation than one which postulated only one cause. Theism is simpler than polytheism. And theism postulates for its one cause, a person [with] infinite power (God can do anything logically possible), infinite knowledge (God knows everything logically possible to know), and infinite freedom … (Ibid, p. 43) Swinburne generously concedes that God cannot accomplish feats that are logically impossible, and one feels grateful for this forbearance. That said, there is no limit to the explanatory purposes to which God’s infinite power is put. Is science having a little difficulty explaining X? No problem. Don’t give X another glance. God’s infinite power is effortlessly wheeled in to explain X (along with everything else), and it is always a supremely simple explanation because, after all, there is only one God. What could be simpler than that? Well, actually, almost everything. A God capable of continuously monitoring and controlling the individual status of every particle in the universe is not going to be simple. His existence is therefore going to need a modicum of explaining in its own right (it is often considered bad taste to bring that up, but Swinburne does rather ask for it by pinning his hopes on the virtues of simplicity). Worse (from the point of view of simplicity) other corners of God’s giant consciousness are simultaneously preoccupied with the doings and emotions and prayers of every single human being. He even, according to Swinburne, has to decide continuously not to intervene miraculously to save us when we get cancer. That would never do, for, “If God answered most prayers for a relative to recover from cancer, then cancer would no longer be a problem for humans to solve.” And then where would we be? If this is theology, perhaps Professor Swinburne’s colleagues are wise to be less lucid. 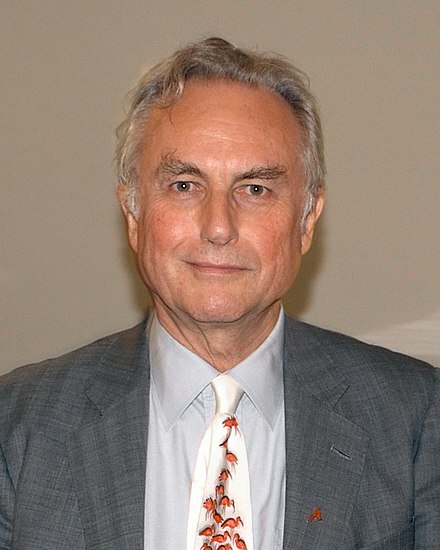 Richard Dawkins FRS – This article was first published in The Sunday Times on February 4, 1996.